Trotter Racing homebred Strategic filly has been named beautifully by fellow co-breeder Keith Storck, Hanariki, a Maori word for Naughty or Mischievous. 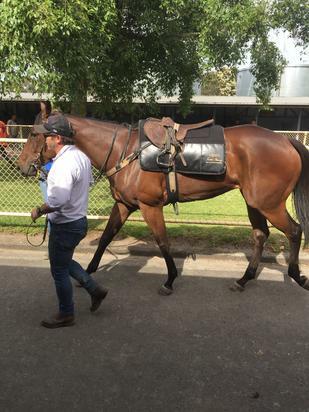 She certainly has lived up to that name in recent times with the bruises she has left on her Strapper. Hanariki is a great testament in the benefit of giving a horse time. She has had a couple of preparations now and showed enough to suggest that she has ability, but just needed time to grow and strengthen. That she has and the transformation from a foal where she was just a plain type, very much an ugly duckling to now has been truly remarkable. She will be one of the last Strategic's to race a proven stallion producer of many top class gallopers out of Future Plans making her a half brother to Kaitoa a highly talented colt who was cut down in his prime after winning at the first Cranbourne Night meeting so impressively. An impressive jump out recently at Cranbourne was positive and she follow up with another in the New Year before a race track debut beckons.